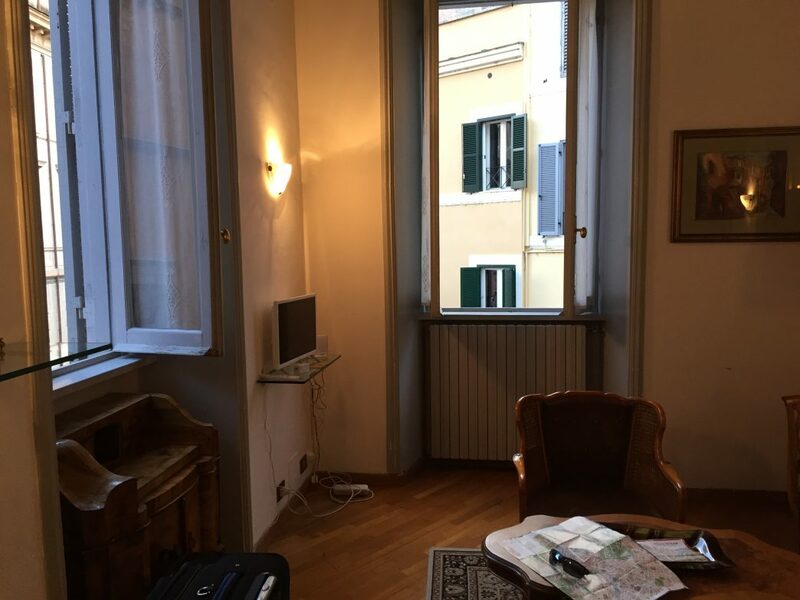 A few years ago, Pete and I were visiting Italy and chose as our accommodations a charming little apartment in Rome’s Jewish Ghetto. Finishing our trip there was ideal. After running all over Southern Italy it gave us pause and left us with a nice taste in our mouths like the perfect after dinner mint after a perfect dinner. One of the main factors that made it so perfect was that we stayed in a lovely little apartment overlooking the main piazza. The Jewish Ghetto has a long and unpleasant history. It was created back in the 1500’s at which time all Jews in Rome were required by Pope Paul IV to live in the walled portion of the city. The Jews were not allowed out at night and were only allowed into the city proper during the day. Because Rome was a Christian city under papal rule, the Jews were treated as less than second class citizens. They were not allowed any skilled labor position and were subject to base humiliation regularly by Christians. Additionally they were not allowed to own property and were forced to listen to compulsory Christian sermons every week. When the Jews did venture outside of the gates, the men were forced to wear a yellow cloth and women had to wear a yellow veil. The Jewish Ghetto was the poorest and worst real estate in the city. 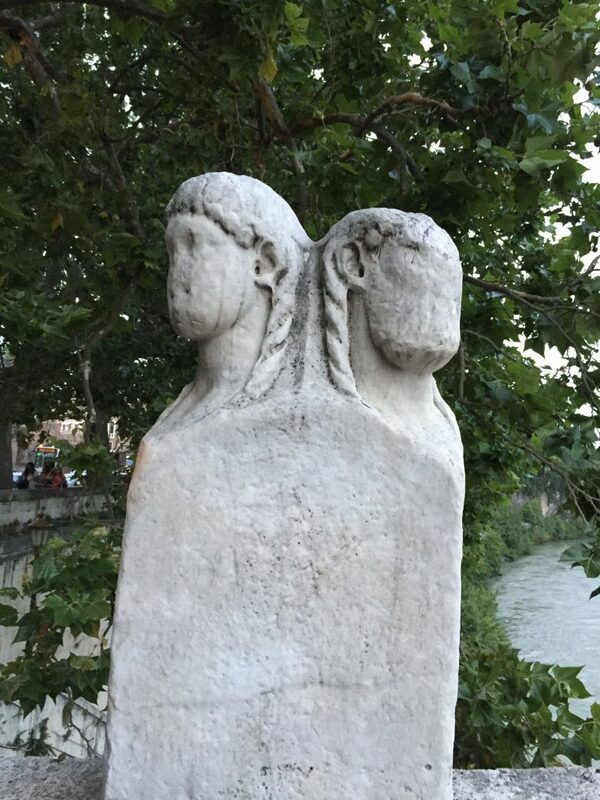 Every year the Tiber River which bordered it flooded filling the streets with water and mud. This made the area a breeding ground for the plague which ravaged the Jewish population in 1656. Over time, the population of the Ghetto grew and since there was nowhere else to build, the inhabitants built up creating high density housing that further subjected the population to decimation by virulent illnesses whenever one came through. This deplorable state went on intermittently until the Italian Risorgimento (the final unification of the Italian Papal States which resulted in the papacy losing its power and the power being established under the Kingdom of Italy in the 1800’s.) and the Ghetto walls were torn down. At that point, Jews were allowed to live anywhere in the city and the Ghetto, as a ghetto ceased to exist. Much of the Ghetto was demolished and new apartment houses were built in its place. 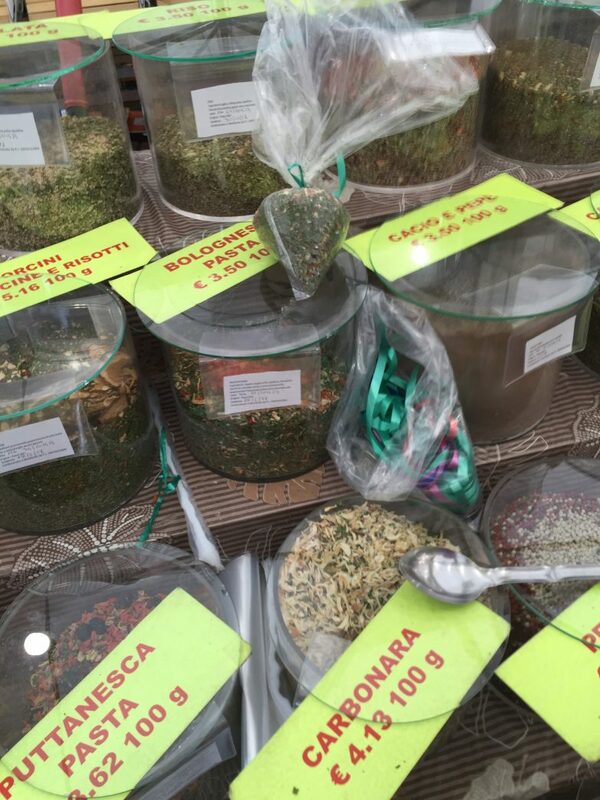 What remains of the Ghetto today is a tiny area where Kosher foods dominate and a small slice of Jewish culture remains to be savored and enjoyed by those passing through and who stop to experience it. Our visit there started with a BnB rental that advertised itself as a cute Jewish Ghetto Apartment. It was indeed cute and very centrally located. 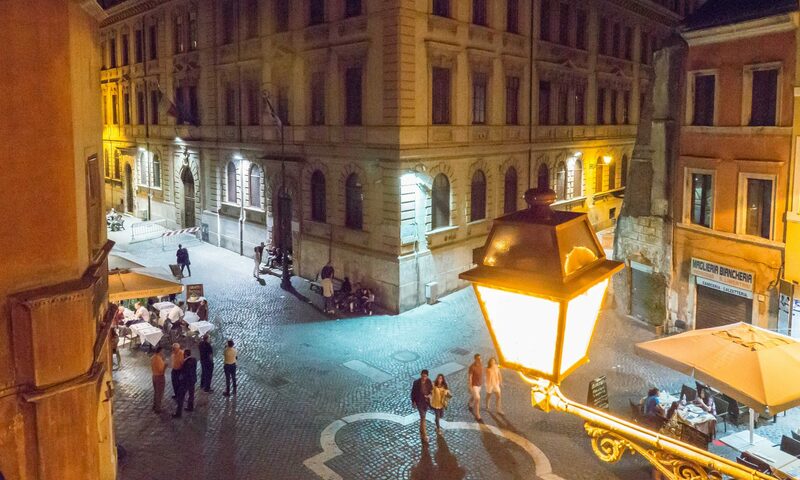 The apartment is located in the Sant’Angelo neighborhood in a small piazza right across from the oldest Jewish Bakery in Rome. 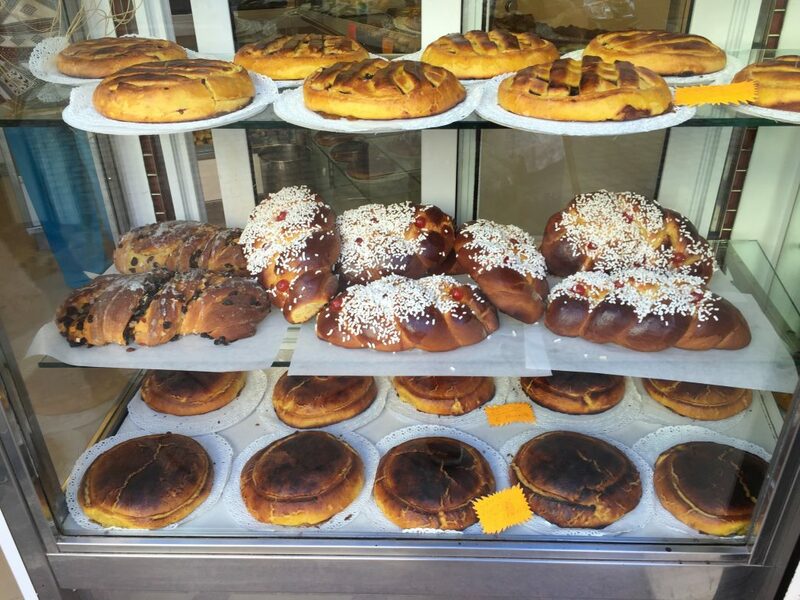 This bakery alone is reason enough to stay in the Jewish Ghetto. 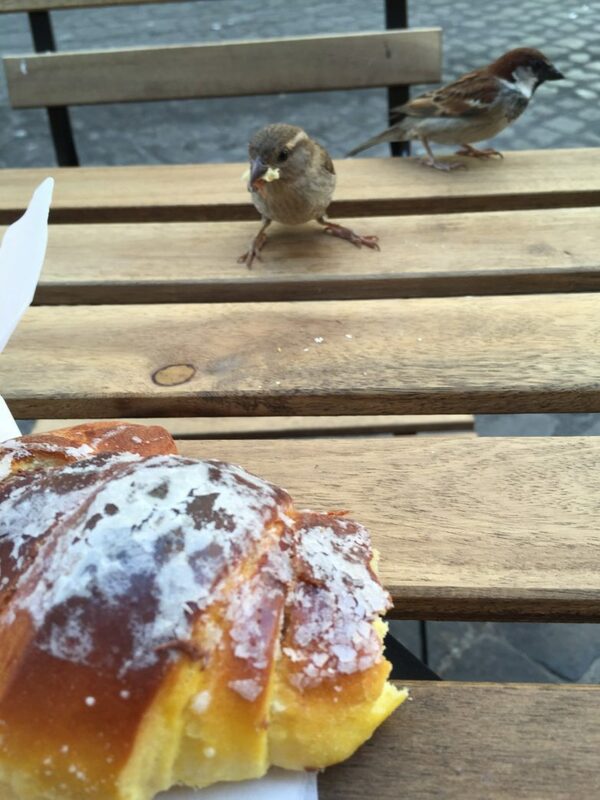 Pasticceria Boccione has sat in the same place and had the same family running it for the last 200 years. It has seen poverty, slavery and humiliation as well as final freedom and notoriety for its fabulous creations. 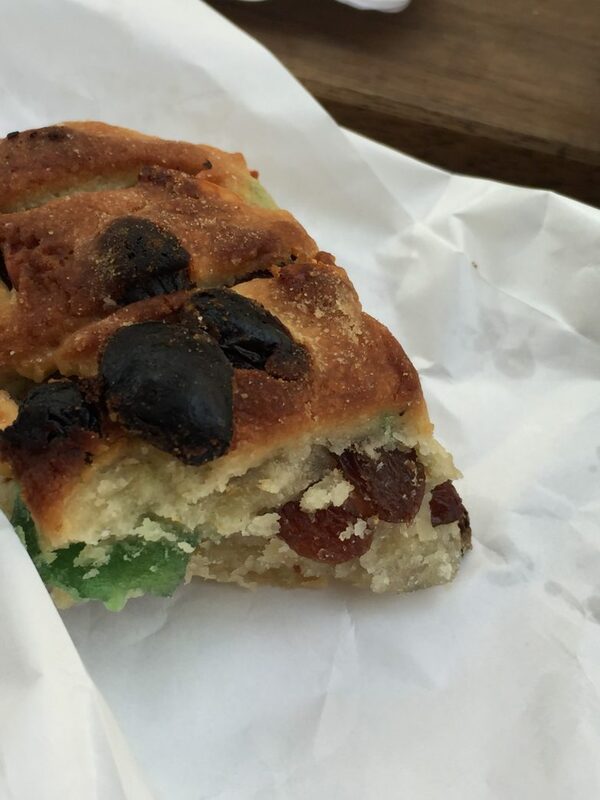 Pasticceria Boccione is known for its pastries, such as ricotta cake and cinnamon almond biscotti. The star in this line-up however is the Jewish Pizza. Oh. My. God. This is Jewish pizza, the most buttery, crumbly, sweet and delicious thing you will ever eat short of actually going to heaven. The angels who bake this serve it up warm and fresh from the oven. It falls apart in your mouth and is a swirl of sweet nuttiness that I simply cannot picture life without after having tasted it. 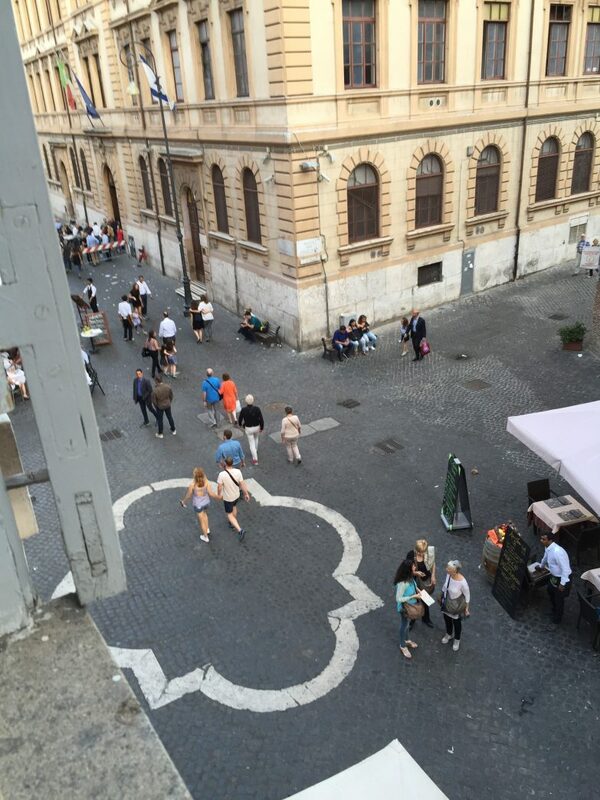 The piazza containing Pasticceria Boccione leads off into a wide street, the Via Del Portico D’Ottavia. If you click on this link you can see a photo of this street. Above the white umbrella on the right, the second window up is the apartment in which we stayed. 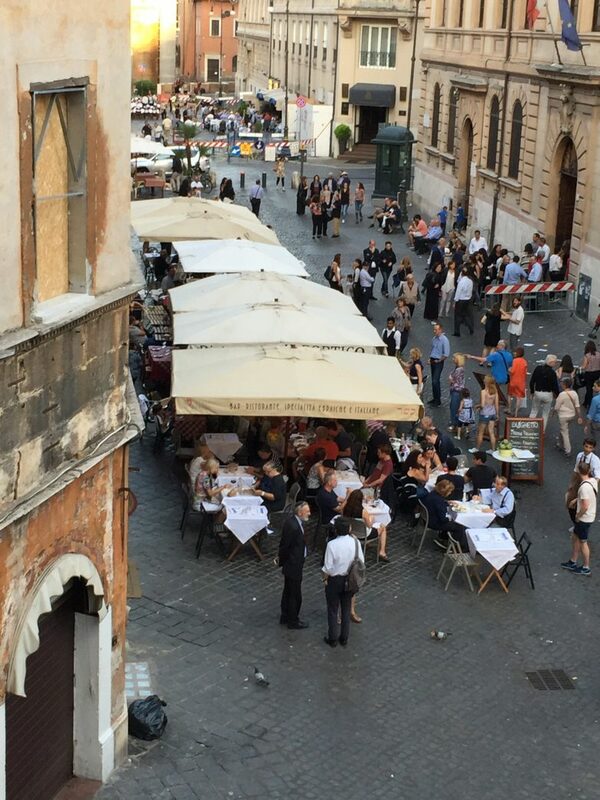 On the right hand side in the ancient building with the white awning is Pasticceria Boccione. 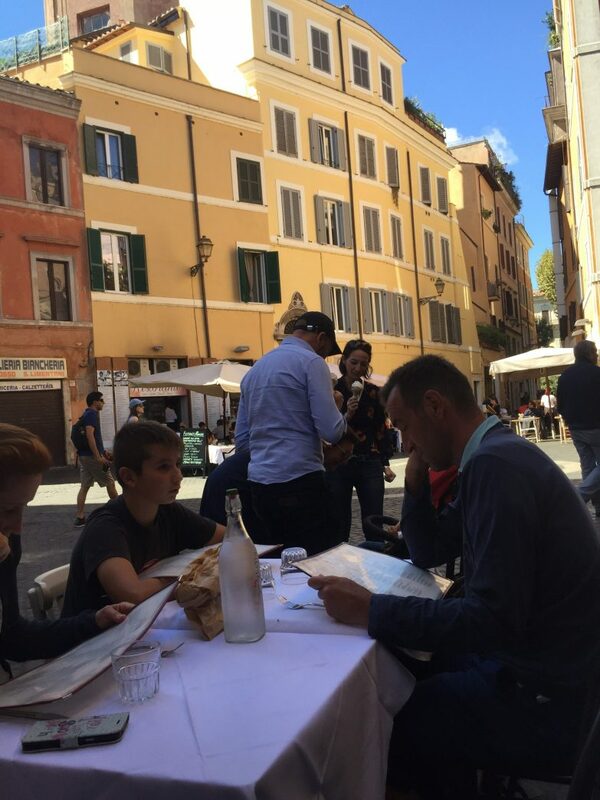 Therefore the restaurants have seating outside under the incredible Roman sun where you can have your perfect cappucino and a piece of Jewish Pizza that will hold you over until lunch. The restaurants in this area are good but pricey. That said, I did have a spectacular antipasto of mussles and clams in an out-of-this-world broth containing garlic butter and tomatoes at G. Spizzichino a few steps from the apartment. Although my dish was an appetizer, it was enough food for me as it came with bread to sop up the ecstasy-inducing broth that accompanied it. And the portions were almost too hearty as is the norm with Italian restaurant portions in my experience. The next day we ate at the restaurante Al Portico where I ordered Carciofo ala Guida. This is an artichoke that has been trimmed and chucked into the deep fryer. It comes out all brown and crispy. I had never had a deep fried artichoke quite like this so I asked the waiter how to eat it. He said you eat it with a knife and fork and unless I misunderstood, I was supposed to eat the leaves and choke as well as everything else. Of course I tried it but the leaves were too chewy and fibrous so I ate it like a normal artichoke. It was fantastic. Once out of the deep fryer it was dressed in olive oil and salt which tastes spectacular on a hot Roman day after sightseeing. There is something about deep frying anything that brings out the natural flavors which is the only explanation I can see for the recent America craze of deep frying Snicker’s bars. The artichoke’s natural nutty flavor was beautifully enhanced and it was a perfect opening act for my main course which was grilled lamp chops all in a pile with a delightful sauce drizzled sparingly over the top. 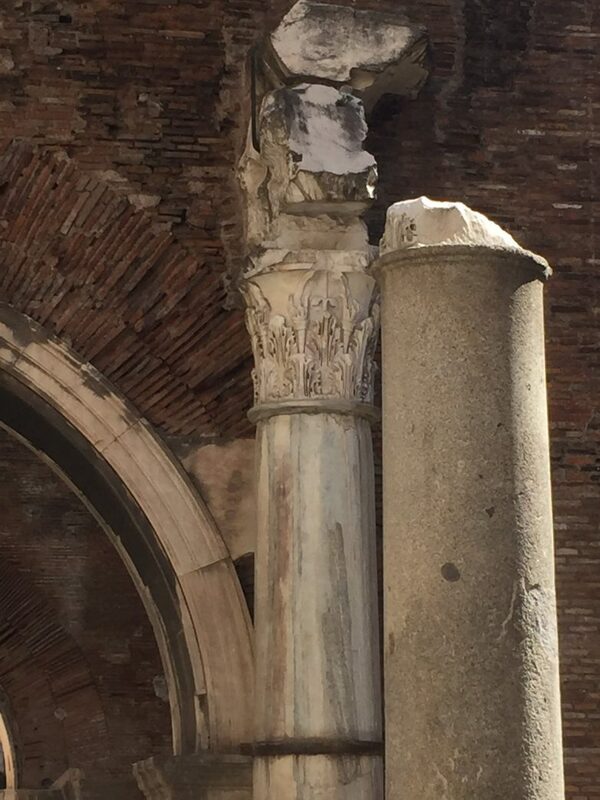 Toward the end of the Via Del Portico D’Ottavia, there is an archeological site where you can walk off your fattening artichoke and view ancient Roman columns being excavated. 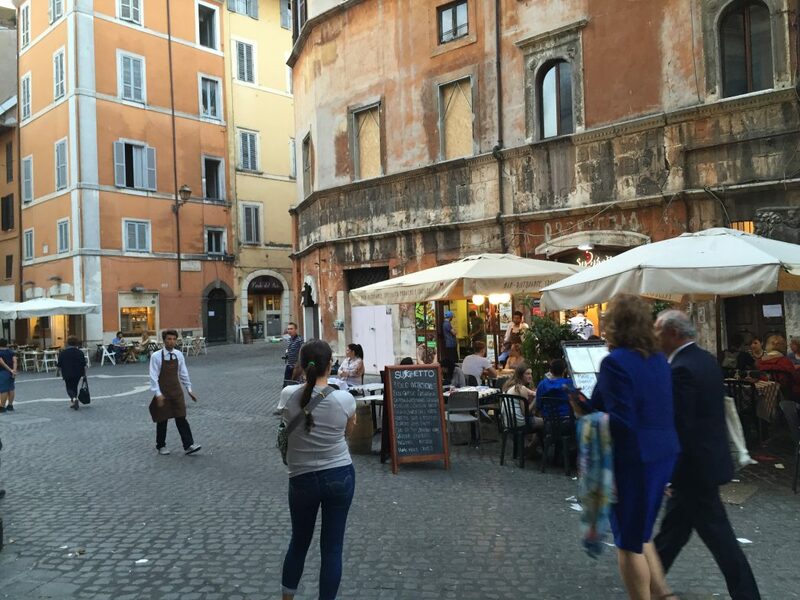 Situated very close to the Jewish Quarter are most of the famous monuments and attractions that one looks for in Rome. 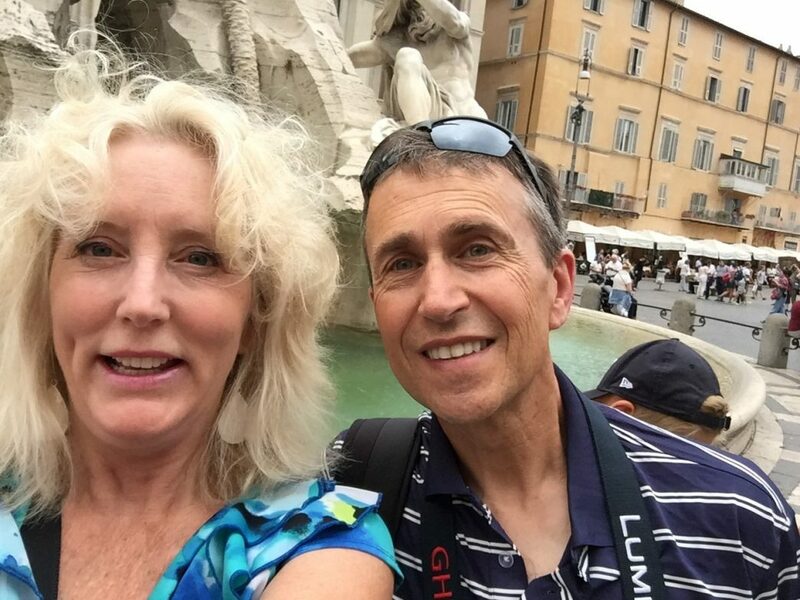 On a three day visit to Rome and while staying in the Jewish Quarter, my husband and I did not have to take one bus or metro ride because everything we wanted to see that trip was within walking distance. Click this link to see a map of Rome. Zoom in on the bend in the Tiber River between the Castel Sant’Angelo and the Piazza Navona. The Jewish Ghetto is right there. 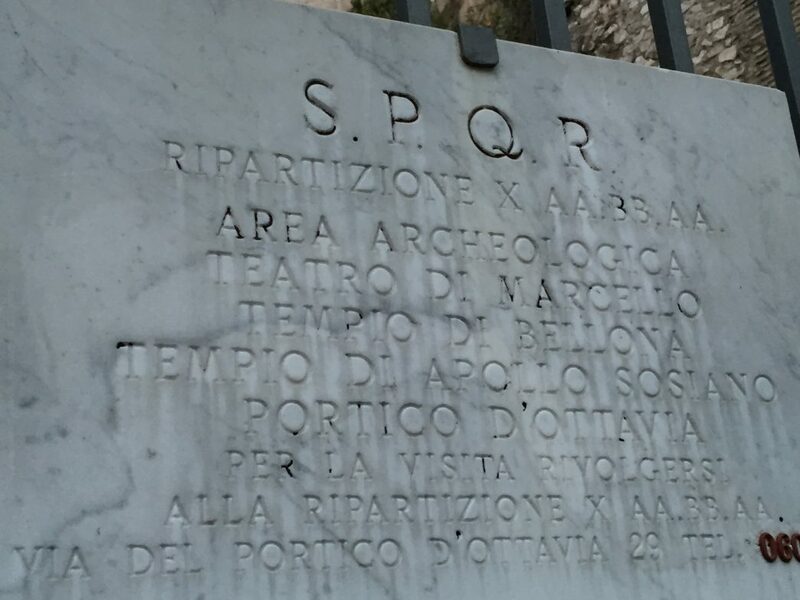 You can also type in Via Della Portico D’Ottavia and you will find it. From the apartment on the Via Del Portico D’Ottavia, the Campo Dei Fiori ,or Field of Flowers, named for its flower market which now includes stalls for any gastro-gnome (my word, I made it up) was a short walk. The morning market there is quite lovely and after passing the fruit and vegetable stalls along with the obligatory T-shirt and tourist stalls, we were able to purchase some beautiful prosciutto for lunch and in the stall next door, spices specifically blended for well known Italian dishes. 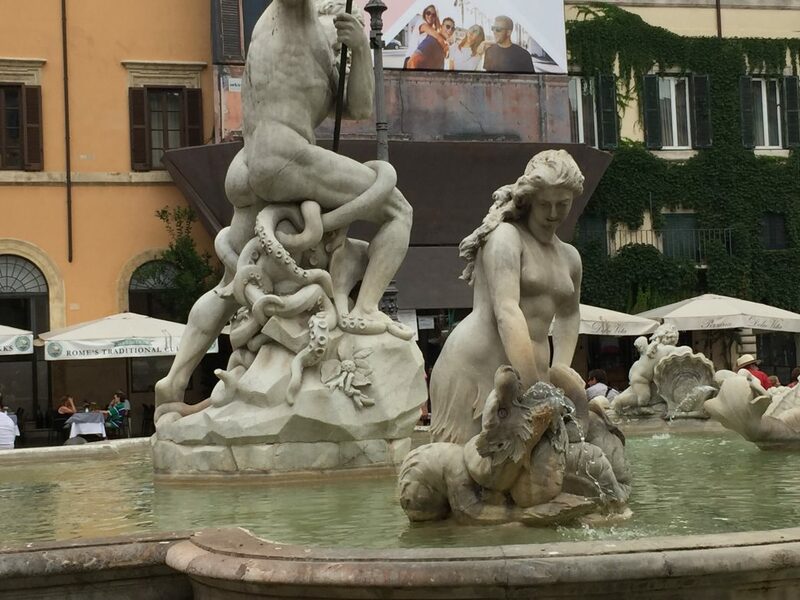 From the Campo Dei Fiori, the Piazza Navona is only a block or so. The walk is not made through crowded streets filled with cars but through tiny winding alleyways with shops and beautiful architecture around every corner. Do wear good shoes because the alleys are paved with cobblestones and the ground tends to be uneven. If you are wearing heels or shoes with no support, it could be dangerous as well as simply annoying. My recommendation is Sketchers Air Walks. My chiropractor recommends these to all his patients as they have great padding and support. Also nearby are the Colosseum, the Forum, the Trastevere neighborhood, the Tiber River with its famous bridges, The Vatican and many other attractions. 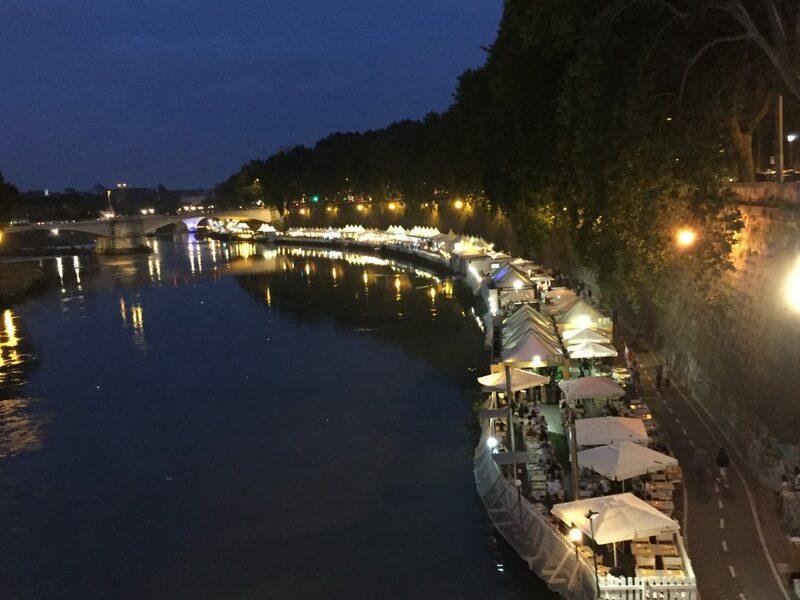 At night, in Summer, the Tiber river has shops and restaurants set up along the Lungotevere (The walkway that extends along the Tiber River). You can go there and have a meal, watch the soccer match, shop or just wander. There are marvelous street musicians along the way and the weather is generally really warm and nice. All in all I can’t say enough wonderful things about this area and our recent trip there. Contact your Super Savvy Travelers team, we would love to book you the perfect trip to Italy or anywhere in Europe.